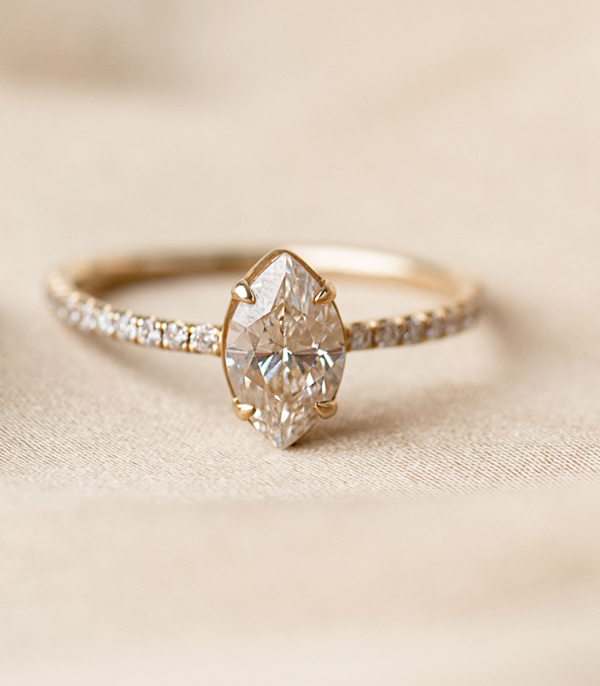 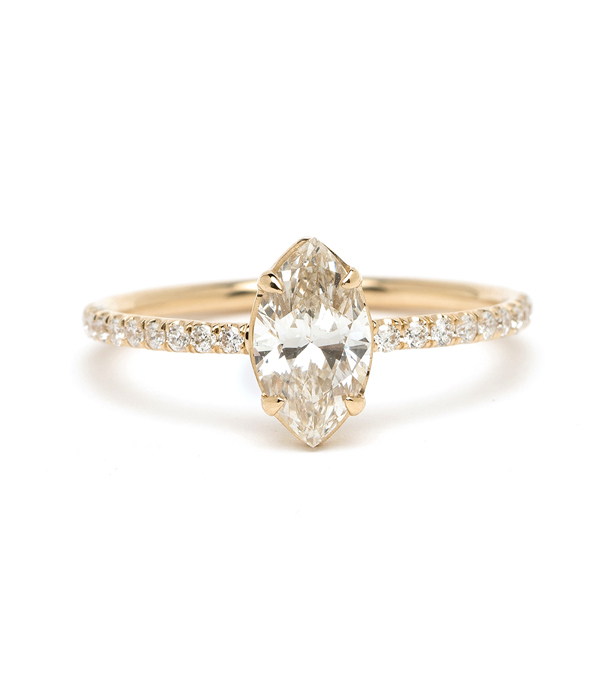 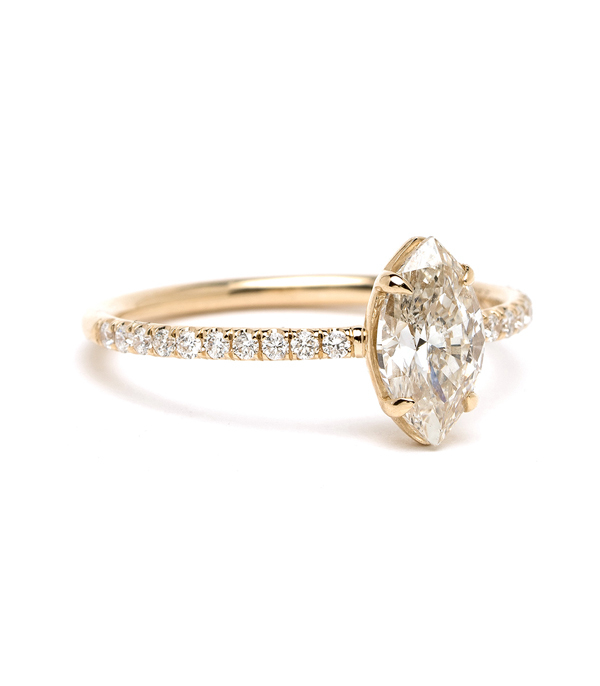 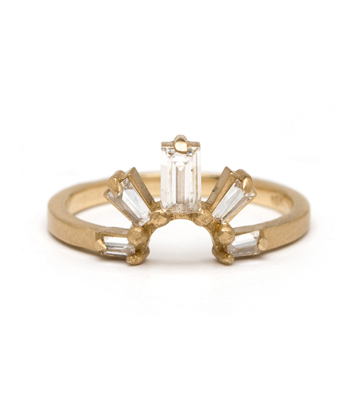 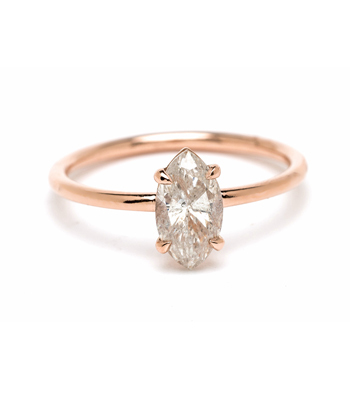 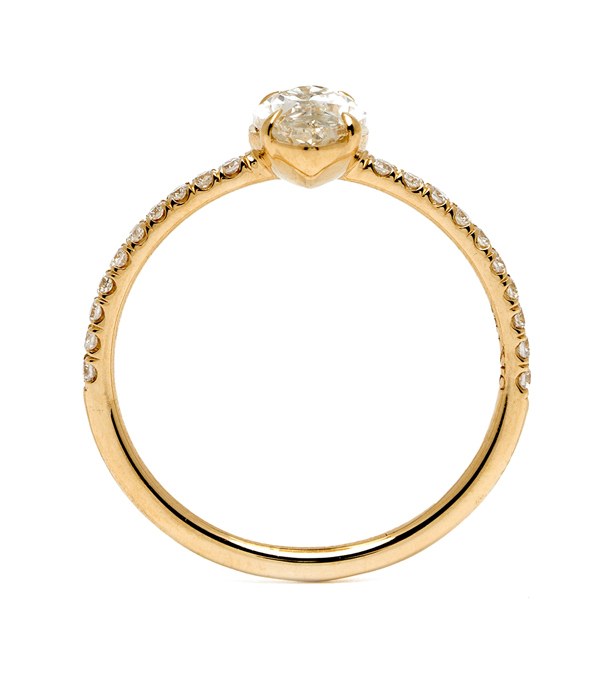 As cool as it is classic, this 14K yellow gold, Marquise cut diamond engagement ring was designed with understated simplicity in mind. 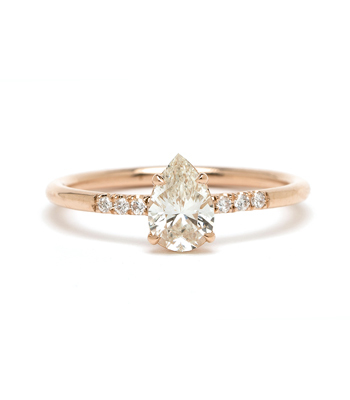 One light champagne color, brilliant cut marquise diamond (0.91 ctct) is elegantly set in a north-south setting on a smooth round band. 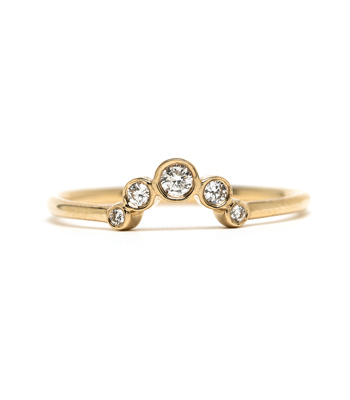 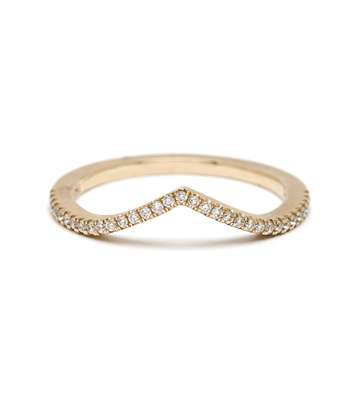 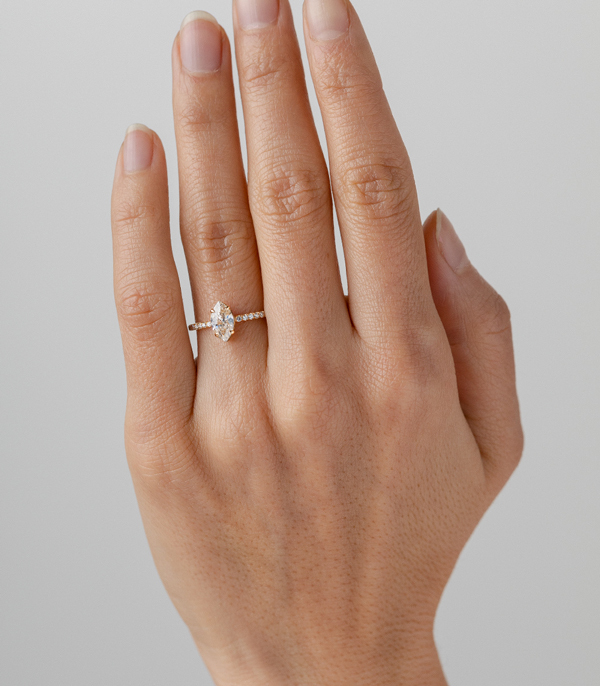 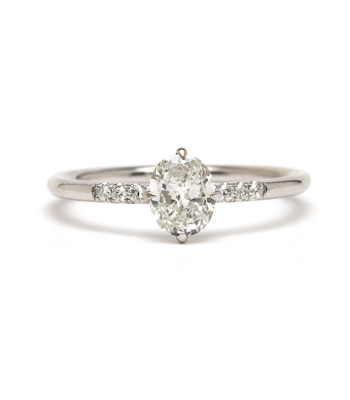 Tiny diamond accents wrap halfway around the band for a sparkly touch.